Get the perfect fit and name brand quality from BAUER, CCM, UNDER ARMOUR and MORE, plus Sani Sport equipment cleaning and expert skate sharpening! Featuring a wide selection of Canadian DEVINCI brand road, trail and fat bikes, tons of quality bike accessories, plus expert maintenance & repair. In-house customization of quality products from BAUER, KOBE, CALLAWAY, OAKLEY, UNDER ARMOUR and MORE for sports teams, clubs, schools and businesses. 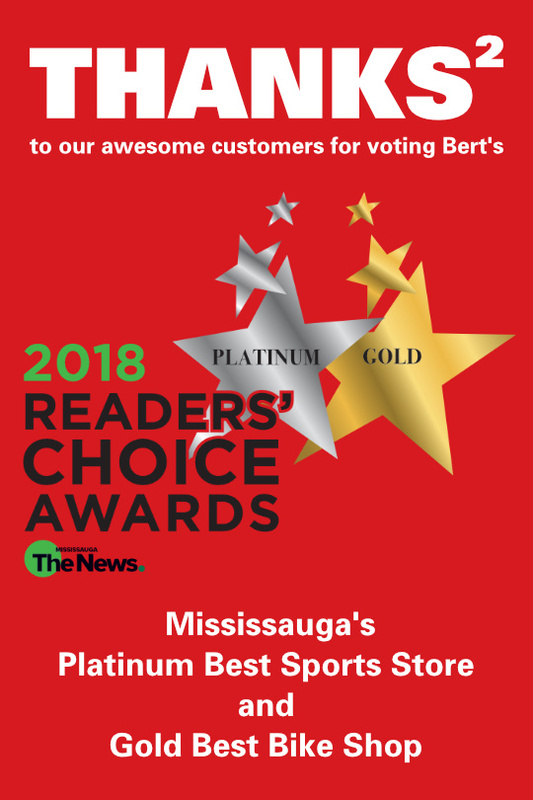 Thank you to every one of our valued customers who took the time to vote for us in the 2018 Mississauga News Reader’s Choice Awards, resulting in Bert’s Sports Excellence being named the Platinum Medal Winner as Mississauga’s Best Sports Store and Gold Medal Winner as Mississauga’s Best Bike Shop! Bert’s offers quality hockey, cycling, teamwear and many more sports related products at reasonable prices, all backed by an exceptional customer experience. Team Bert’s is extremely proud to have been recognized by you, our valued customers, as having achieved our goals. So, once again, we say THANK YOU for this great honour! Drop by Bert’s Sports and have our knowledgeable staff fit you with the perfect pair of used skates! 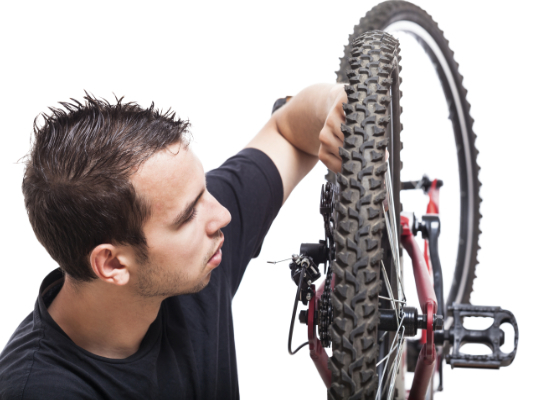 Bert’s Sports Excellence provides expert Bike Repair Services. Under Armour Training Shoes and Apparel now available at Bert’s Sports Excellence. Master Sharpener “Sheff” displays the technique involved in attaining a great blade sharpening via traditional means on Bert’s Sports’ Blademaster machine. Longtime Bert’s Sports’ employee “Sheff” displays the technique involved in attaining the perfect blade sharpening via their fully automated Prosharp machine. Bert’s Sports Teamwear division creates thousands of embroidered logos for local sports organiztions, including these for the Port Credit Hockey Association. Take a look as bike specialist John from Bert’s Sports Excellence shows you the process of building a Canadian made Devinci bike. Now that’s something to ride home about! 1211 Hurontario Street, Mississauga, ON in the Cousin’s Market Plaza. Bert’s Sports: The perfect fit since 1971.